Our unlimited food/drink tailgate party & Green Bay Packers Tickets with your choice in seating! Entertain clients or groups at affordable pricing. 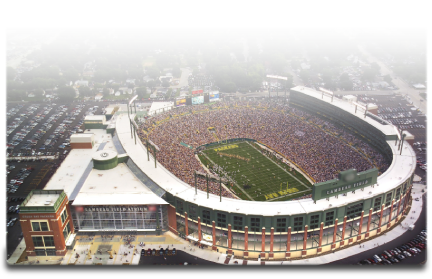 We have Green Bay Packers game ticket packages from end zone to midfield, plus luxurious club seats and even skybox seating! If you want to purchase game tickets only (without any other amenities) we got you covered. We also buy Green Bay Packers tickets for top $$$ and immediate payment!